bouncing back with no counters? 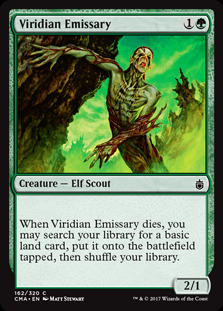 When Viridian Emissary dies, you may search your library for a basic land card and put that card onto the battlefield tapped, then shuffle your library. MeekTheFierce Thanks for your thoughts. Glad you like the deck. 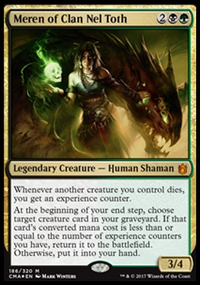 I've always wanted to play with Lord Windgrace but I have a very finely tuned Gitrog deck and I couldn't bring myself to dismantle it and make a Jund version of it. 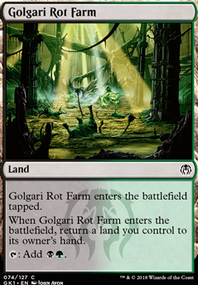 If you can get your hands on any dual-type lands such as Sheltered Thicket or Smoldering Marsh , I would definitely focus on that as your first upgrade. Otherwise, good job on the deck! Tell me what you think, vote now on your phone. Falkenrath Noble is usually worse than Zulaport Cutthroat. 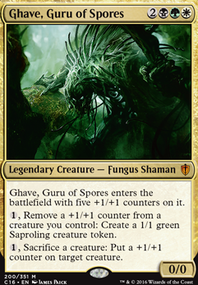 Golgari Grave-Troll isn't a huge payoff, yeah decent self-mill but Glowspore Shaman would likely serve you better. Golgari Thug is probably even worse than the troll. Hermit Druid is probably not as good as Viridian Emissary here. It That Betrays' mana cost is absurd. Izoni, Thousand-Eyed is often a worse Grave Titan. Llanowar Elves is probably worse than Diligent Farmhand here. Even a worse Golgari Signet. Lord of Extinction, without evasion, isn't anything fantastic. Mycoloth usually doesn't live to your upkeep. Ramunap Excavator seems fairly pointless. 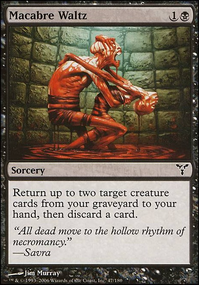 If you do have lands in the graveyard, you probably don't care to play them. How much mana do you need? Same for World Shaper.